This summer has been beastly hot! But it hasn't stopped us from having some outdoor fun. Only problem is you get dead tired by the end of the day and that does not apply to the kids! Even after a full day of activities they don't go to bed even at 9.30. It's always a wonder, how much energy they have! I had mentioned earlier that one of my summer activities will be to make jams. After tasting a Blueberry-Rhubarb jam at the farmers maket I was hooked. I knew I will have to incorporate rhubard when I made jam at home. And for the recipe today, I have a combination of blueberries and strawberries with rhubarb and it turned out so well that I need to make it again soon. Now if you don't believe me ask Sunitha, she tasted this when she visited us. This jam has my favorite berries and Rhubarb gives it a nice and tangy twist. 1.In a large thick bottom pot, mix the berries, rhubarb and apple juice/water. 2.Cook covered on medium heat until the everything is cooked and rhubarb becomes soft and tender. Stir frequently.This takes about 12-15 minutes. 3.Add the sugar and lemon juice.Mix everything and continue cooking uncovered, stirring continuously. Skim off and discard any foam that comes on the top. 4.Continue this until the jam thickens and passes the freezer test(see notes) or when it starts to run together when you pour it with a spoon. 5.Turn off the heat and transfer into a clean jar. 6.Cool completely in the refrigerator.This keeps well for 3-4 weeks in a refrigerator. 1.Freezer test : keep a small plate in the freezer when you start making the jam. Place a drop of the jam when you think that it done. Put back in the freezer for 30 seconds. If the jam is set well it is done.If you think it is still liquidy , continue cooking for another 5 minutes and repeat the test. 2. The amount of sugar can be changed according to your liking. 3.If you want to preserve this for longer time, use a canning method. 4.As you have already noticed, this doesn't have any added pectin. The apple juice and Strawberries have lots of natural pectin in them. 5. 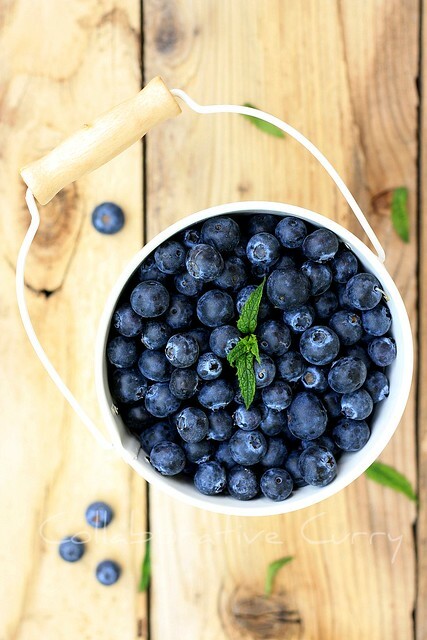 If you are making jam for the first time,be careful.Use a big pot and a long spoon for stirring. It splutters a lot, don't get any burns. Jam looks so perfect...with lovely color and clicks..
Dilicious and mouthwatering jam with awesome clicks. So tempting... love the clicks! Wow looks beautiful,love the combo and the clicks. adipoli!!! super pics chechi..ithu njan ippozha kandathu ;)..allel ithu nerittu parayamayirunnu!!! Adipoli jam. Try chyethu nokkanam . Perfectly done!! Best use of the berry season..
Adipoli jam, Nami..Pics oru rakshayumilla. Very delicious and healthy jam. My daughter loves this a lot, wish I could get these berries in India. Looks yummy and beautiful pictures. 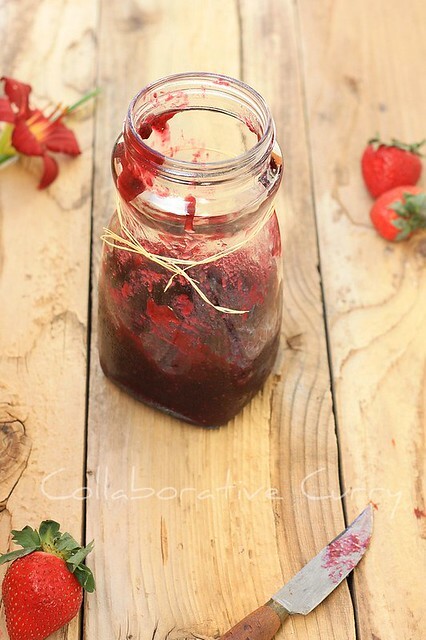 Such a lovely jam - I am finally sharing a rhubarb post tomorrow. Been meaning to all summer. 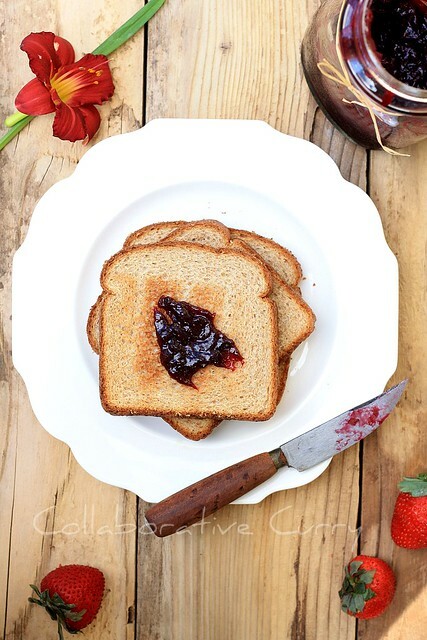 Homemade Jams always taste so much better and makes breakfast much more sweeter. Love the combination u used. Looks perfect Dear. Love the clicks. I just love this preserve. Loved the last click. Sorry...I could not read the recipe..lost in the picture :) One more read.. Send some of that beasy hot weather this side, here it has been rainy , cloudy and dull. Love love this jam; wish i had a jar. it looks fabulous! Strawberries and rhubarb are a classic combo in themselves, it will be interesting to see how the blueberrries blend in with them..would love to make this some day soon! 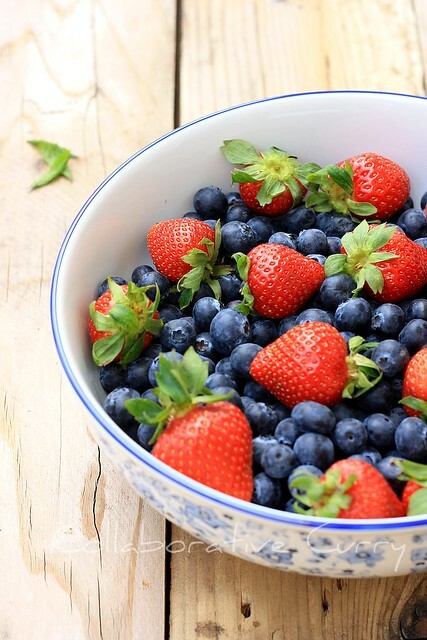 Looks so fresh and lovely...I just love berries and what a great recipe to keep for whatever is on hand! I also like to swirl some in to some Greek yogurt with some coconut--yum! Lovely pictures! And your pics are amazing too. The jam looks delicious and bursting with a lovely colour.